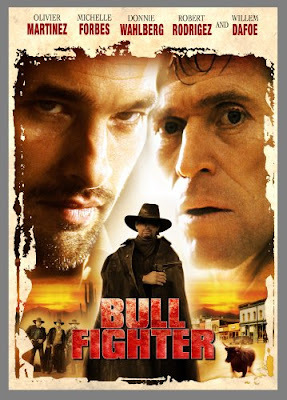 Bullfighter was made in 2000 but it is being released on video 5 years later for some reason. I wonder why? Could it be: The confusing storyline, the incomprehensible dialogue said by Oliver Martinez, and the annoying editing? It's got to be. This movie is incoherent. I think the plot was Mary (Forbes) and Jack (Martinez) go on a mystical road trip. They meet a lot of wacky characters and avoid some evil ones too. The movie looks great and there is a lot of style, but there is no substance. Most movies, when trying to subtle, don't call attention to themselves with unanswered plot developments, and weak special effects. Don't be fooled by the cover: Willem Dafoe is in it for 2 minutes at most.